A smartphone app is suddenly gaining a lot of attention online. 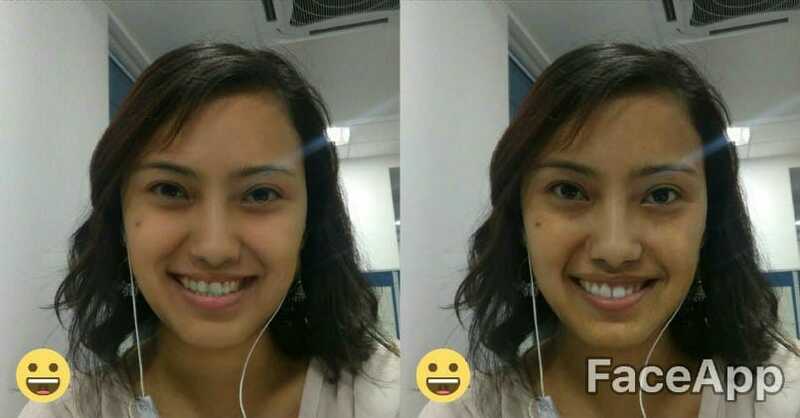 Called ‘FaceApp’, this app uses neural networks to make changes to your face. Launched in February, FaceApp is developed by Wirless Lab from Saint-Petersburg, Russia. FaceApp is available for download on both Google Play Store and App Store. What FaceApp essentially does is transform your face into different looks by adding smiles, beauty filter, old and young, male and female. Most of these features are already available in different apps, but FaceApp produces the images in the most realistic manner. Here’s a walkthrough on how the app works. 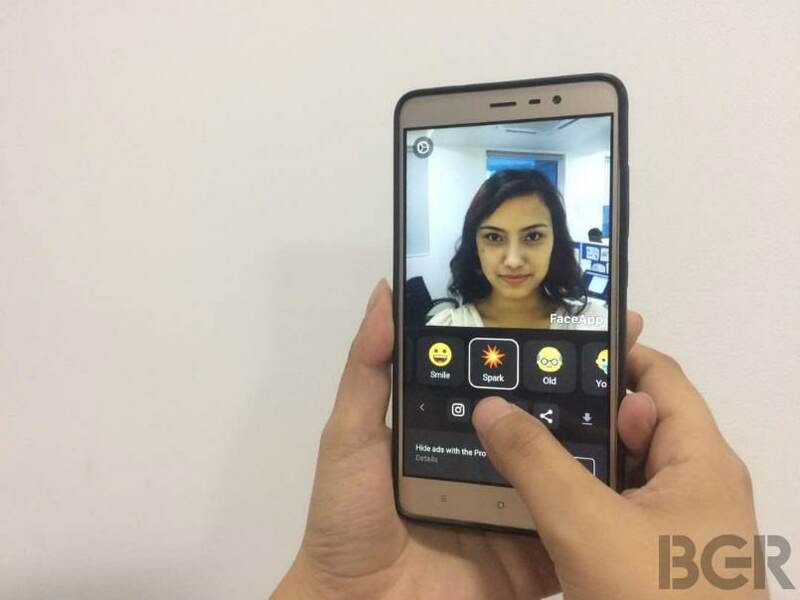 To start with, you need to capture your face through the selfie camera or rear camera. Or you can choose an image from the existing photos in your gallery. You can then choose from among the different filters and see how the app works its magic on your face. It’s advisable that you take a selfie without smiling, and showing your teeth since there are two filters with smiles. The first ‘Smile’ filter gives a sweet and happy smile and the ‘Smile 2’ filter gives a more subtle look. The results however turned out pretty weird on my face. Moving on, we have something called ‘Spark’ which is essentially a beauty filter, as it lightens and clears the skin, adding a tinge of makeup at the same time. The ‘old’ filter gives you a preview of how you’d look when you turn old, obviously. The results seemed fine and this is something we’ve come across in apps like Aging Booth and Oldify. The ‘young’ filter which has the icon of a toddler adds baby fat to your face and adds a small cute smile trying to achieve an innocent look. The ‘female’ and ‘male’ filters were my favorite. The ‘female’ filter gives a rather gorgeous look by changing even styling the hair and achieves a subtle glamorous look. The ‘male’ filter was in my opinion, the most accurate one as it produced the most realistic look and may even pass off by fooling other people. The noticeable changes through this filter are the male-like hairstyle and a mustache but the overall effect turns the face into something very male-like. Within the FaceApp itself, one can create a collage of pictures where you can either add the original one choose three filters, or use all four tiles to add filters. There’s a duo collage as well where you can choose two images of yourself. The male and female filter are available to download in collage mode only. As seen with other apps, you have the option to share it on social media platforms like Instagram, Facebook and Twitter and download the edited pictures as well. There’s a pro version of FaceApp as well which removes ads, removes the app’s watermark on pictures and data management. 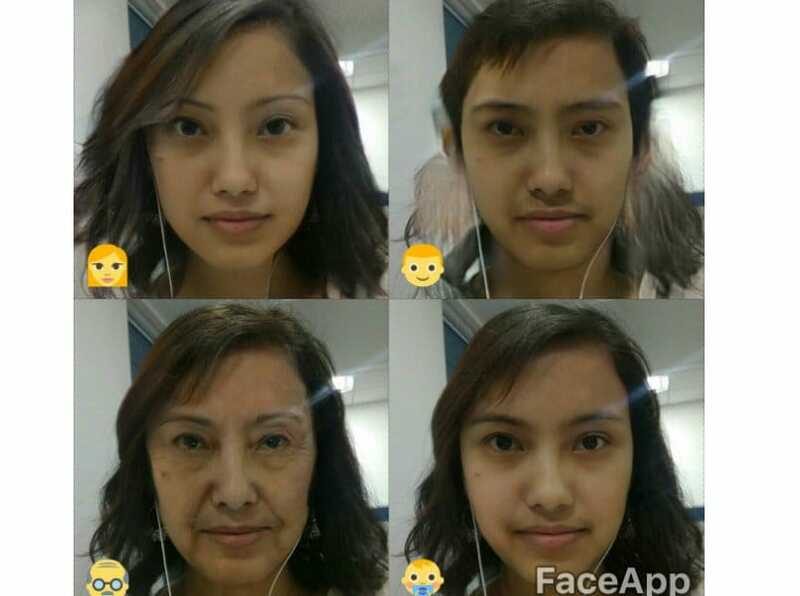 FaceApp seems pretty interesting and fun and tries to bring out the most realistic form of different looks applied to your face. The app has garnered over 1 million downloads on Google Play Store and is currently the number one iOS app in over 20 countries according to Applyzer.com. FaceApp has however run into a controversy with its ‘Spark’ filter which was earlier known as ‘Hotness’. It basically works like a beauty filter which ‘lightens’ the skin which is actually racist and some users have been offended by it. FaceApp’s founder and CEO Yaroslav Goncharov however apologized through a statement to TechCrunch saying, “We are deeply sorry for this unquestionably serious issue. It is an unfortunate side-effect of the underlying neural network caused by the training set bias, not intended behavior. To mitigate the issue, we have renamed the effect to exclude any positive connotation associated with it. We are also working on the complete fix that should arrive soon.” FaceApp isn’t first in the scene though with a racist attribution. Snapchat which has the best and innovative filters had been criticized numerous times for its racist filters as it was once heavily obsessed with Asian looking filters.